Stock #87010 Model #EDISON-36 On Sale through 6/30/19. Stock #87011 Model #EDISON-42 On Sale through 6/30/19. With breakthrough solutions packed into every inch, The Ed 6 Table by CEF truly embodies Edison the inventor's spirit-providing the most complete maker experience available. Maximizing creative time while minimizing the amount of logistical preparation work and clean-up was the driving factor behind the design concept. 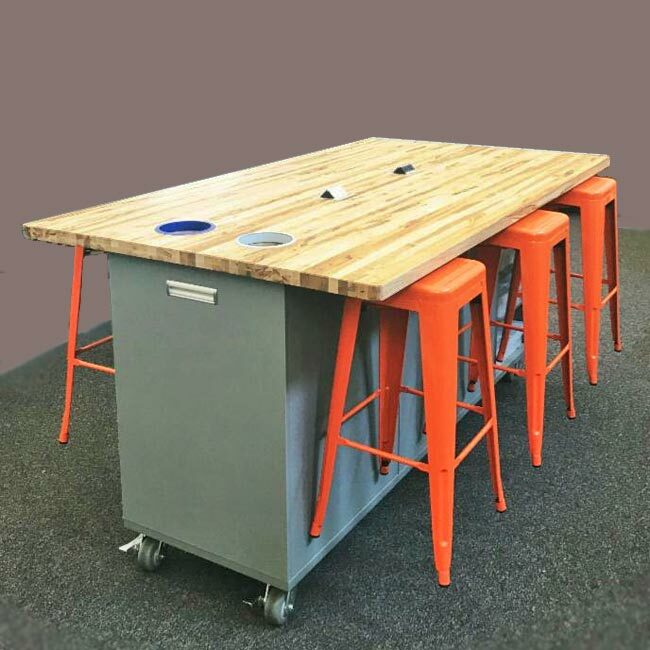 For schools and teachers interested in project-based learning, the Ed Table is a natural extension and fundamental element for engaging learners. 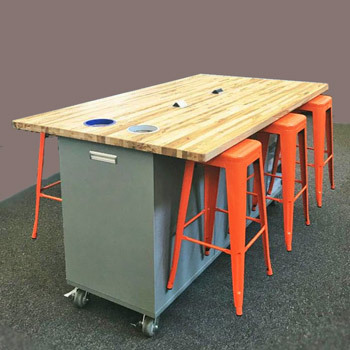 Includes trash cans, storage bins, electrical outlets and six metal stools that magnetically attach to the table for easy storage, transport and cleaning!